We are a Data Controller under the terms of the Data Protection Act 1998 and the requirements of the EU General Data Protection Regulation. We send patient information to your plan provider and also use the previser site for obtaining your health score for your plan. The CQC when they inspect the services we provide. 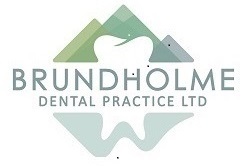 You can complain in the first instance to our Data protection Officer who is James Breedon for Brundholme Dental Practice Ltd on 01768772096 If this fails, you can complain to the Information Commissioner at www.ico.org.uk/concerns or by calling 0303 123 1113.